The Arizona Residential Landlord and Tenant Act governs the renting of residential units in the State of Arizona and are set in place for the benefit of property owners as well as tenants. The Act explains the rights and obligations of each party and protects each party during tenancy. This information is not intended to substitute for the legal advice or consultation with an attorney nor is it meant to include a complete list of all laws and statutes covered under the Arizona Residential Landlord and Tenant Act. For assistance with your own personal questions or issues, you may want to contact an appropriate Arizona Government Agency or a qualified attorney who specializes in landlord-tenant law. Stay up to date on Arizona Landlord Tenant Laws + Save money on tenant screening and other property management needs. Join AAOA today, it’s FREE! The amount of security deposit paid by the tenant and received by the property owner or landlord must also be stated in writing. A security deposit serves multiple purposes. It demonstrates that a tenant is serious about renting the property when a security deposit is tendered and serves as assurance to the tenant that the property owner or landlord is holding the property for the tenant. This type of agreement may take place when a prospective tenant wants to rent the property but must wait until their next payday to have enough money to pay both the security deposit and rent prior to moving in. Security deposits will also compensate at least a portion of delinquent rent should a tenant vacate the premises without notice, damages the property or is evicted. Once a tenant leaves the property, the proper Arizona Disposition of Security Deposit form, available under the list of Landlord Forms explains if any of the tenant’s security deposit is withheld and the reason(s) why. The specific obligations of tenants are described in the Arizona Landlord Tenant Laws in “Article 3. Tenant Obligations.” Should any tenant of a residence fail to comply with the tenant obligations or otherwise violates terms of the lease, an action of Forcible Entry and Detainer may be filed against the tenant which will force the tenant out, permitting the property owner or landlord to recovery of possession of the premises. Arizona Landlord Tenant Laws, “Article 4. Forcible Entry and Detainer,” provides the definition of forcible entry and detainer, acts which constitute the charge, rights of tenant when a forcible entry and detainer action is filed, as well as remedies provided. Once an action is filed, the hearing is held between five and thirty days after the action was filed. Article 4. 12-1178(A) provides that “If the defendant is found guilty of forcible entry and detainer or forcible detainer, the court shall give judgment for the plaintiff for restitution of the premises, for all charges stated in the rental agreement and for damages, attorney fees, court and other costs and, at the plaintiff’s option, all rent found to be due and unpaid through the periodic rental period, as described in section 33-1314, subsection C, as provided for in the rental agreement, and shall grant a writ of restitution.” If a tenant refuses to vacate when ordered to do so, the tenant may also face charges of criminal trespass in the third degree pursuant to section 13-1502. If the tenant is found not guilty in a forcible detainer action, the landlord is assessed damages, tenants’ attorney fees, court costs and any other relevant costs. The Arizona Department of Housing explains that the Department of Fire, Building and Life Safety is responsible for enforcing and maintaining all quality and safety standards for manufactured and mobile homes. A key component of landlord tenant laws is also Arizona Tenant Screening Background Checks. We’ve dedicated an entire page to it because of its importance. Visit Arizona Tenant Screening Background Checks to screen your tenant to screen your tenant. Need a tenant screening background check in a state other than Arizona? AAOA’s tenant screening reports are available nationwide. See our tenant screening background checks page to view other states or start ordering a tenant screening background check now! All states require a variety of forms to rent an apartment to a tenant and Arizona is no exception. Check out American Apartment Owners Association’s Arizona Landlord Forms now. Looking for landlord tenant laws outside of Arizona? The American Apartment Owners Association offers helpful landlord tenant laws for all 50 states. Click on any of the states listed below and go directly to its landlord tenant law page. To visit the homepage of landlord tenant laws, click here. 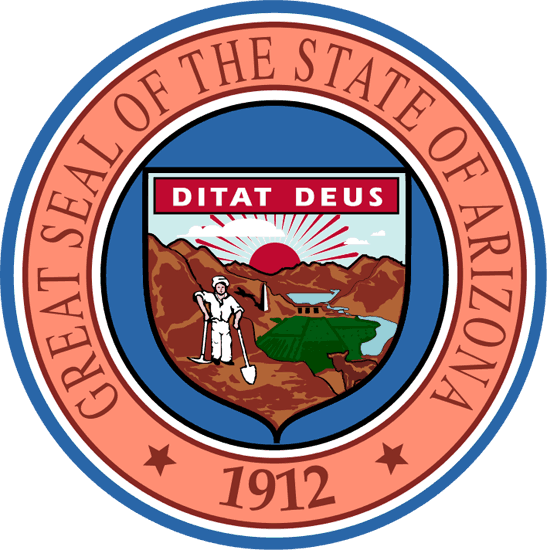 Reminder: This information is a general explanation and summary of Arizona Landlord Tenant Law but is in no way meant to substitute for legal advice, nor does it list all the statutes under the Arizona Residential Landlord Tenant Act.